Besides a rocky mountain side, a Tyranitar and a pair of Escavaliers are attacking a Mewtwo. 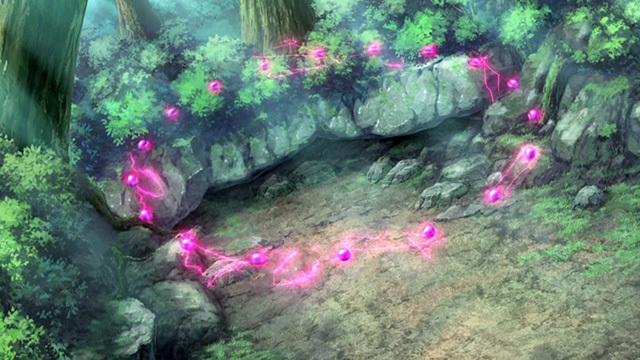 Their attacks hit their target but also cause a rockslide that traps them down below. 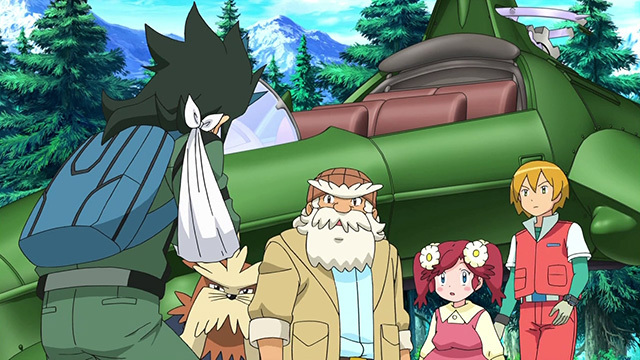 On his way home after a successful mission, Virgil, a member of the Pokémon Rescue Squad, has to emergency land his plane in mountains. There he meets an old man named Oscar and his granddaughter Anna who live in a cottage near by. 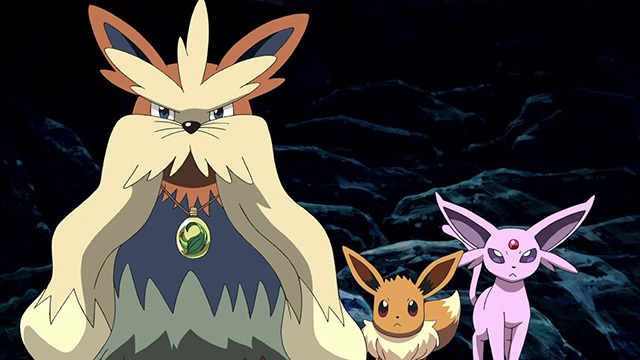 When Anna goes to offer Virgil some refreshments while he repairs his plane, he introduces her to his Eevee Team, composed of Eevee and five other Eeveelutions. 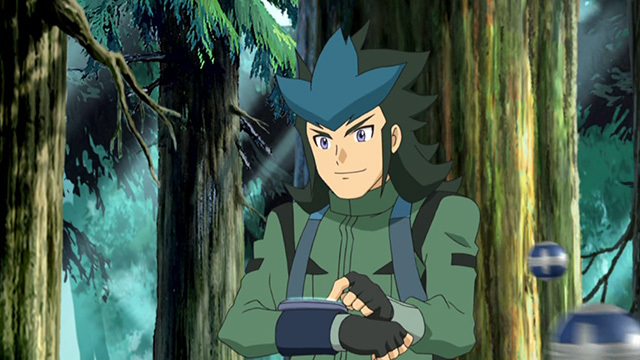 While eating, Anna mentions how her grandpa and his Pokémon Stoutland used to rescue people in the mountains. Virgil is honored to meet a veteran rescue team. Oscar replies that all that was a long time ago, that he and Stoutland have grown old now. 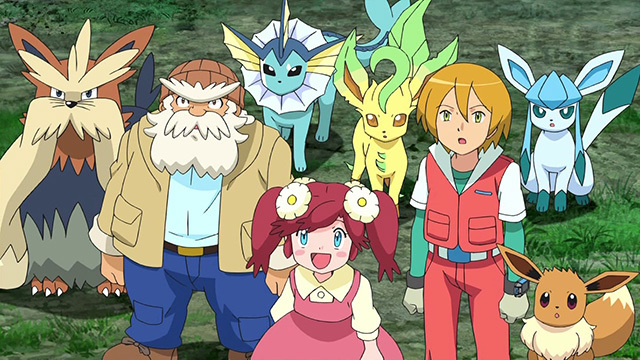 Anna recounts about how she, her grandpa, and Stoutland have been rescued themselves by an mysterious Pokémon after slipping off a cliff while hiking recently. A Pokémon came up flying and used a psyquic ability to break their fall. 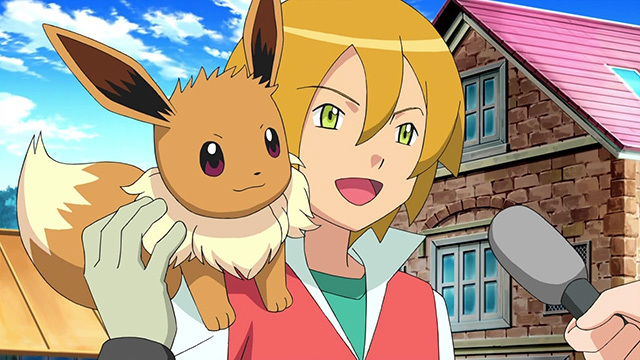 Impressed by the tale Virgil wants to recruit this Pokémon to join the Rescue Squad. 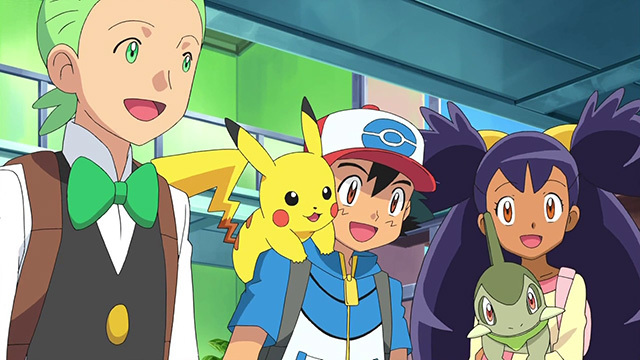 A young man wearing a sling in his arm approaches the group and tells them the Pokémon they saw was a Mewtwo. 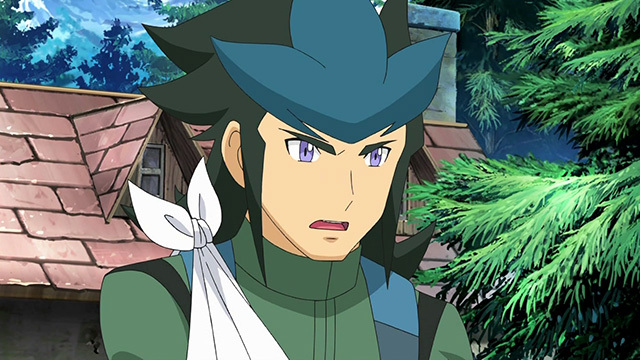 He introduces himself as Danku and says that he has also been saved by the Mewtwo, but that his Escavaliers are still trapped and in need help. 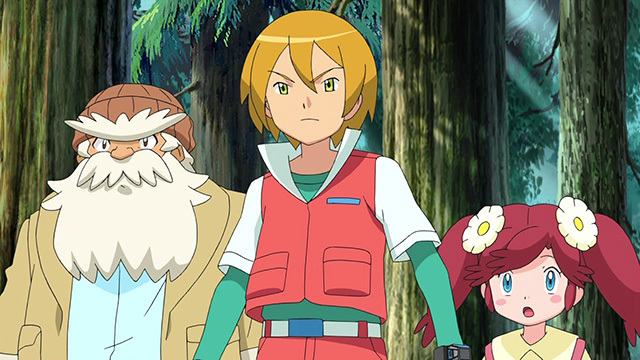 Virgil, Oscar and Anna go to the rescue and with the help of all their Pokémons they manage to move the boulder and release Danku's Pokémons. 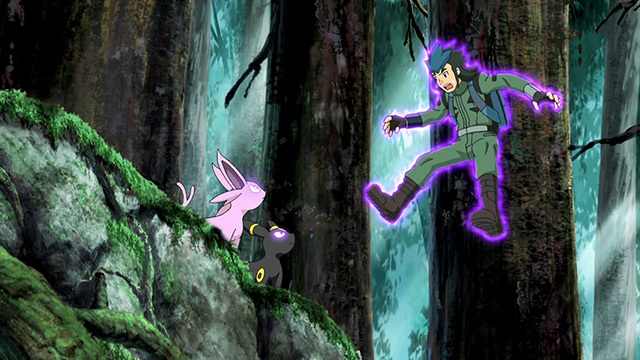 Danku then tells them that the Mewtwo who helped him had also been badly injured during his rescue and must have fallen somewhere in the forest. 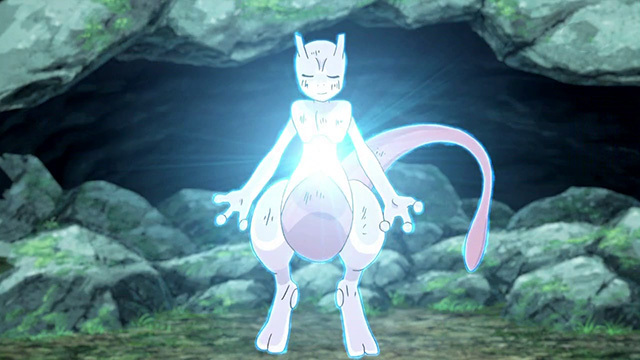 The injured Mewtwo is floating on a hidden cavern lake when she is approached by a Marill and a Azumarill whom it scares away with an icy glare. Looking at a map Oscar mentions how it will be difficult to find a Pokémon in such a large forest. Virgil suggests using his plane to search from above. Danku informs them that Mewtwo hates humans and if they do that, it certainly won't show up. Virgil asks how come Danku knows so much about the Mewtwo. 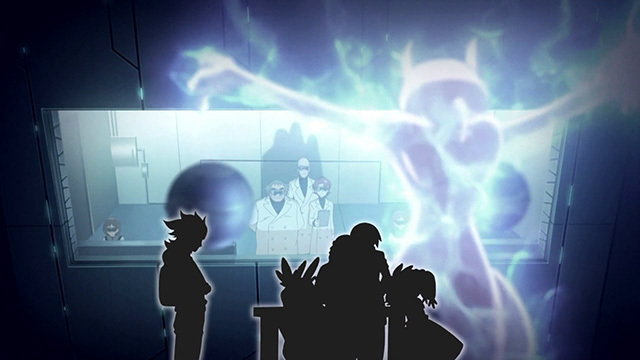 Danku tells them that the Mewtwo has been made by humans out of Mew DNA in order to create the perfect Pokémon. 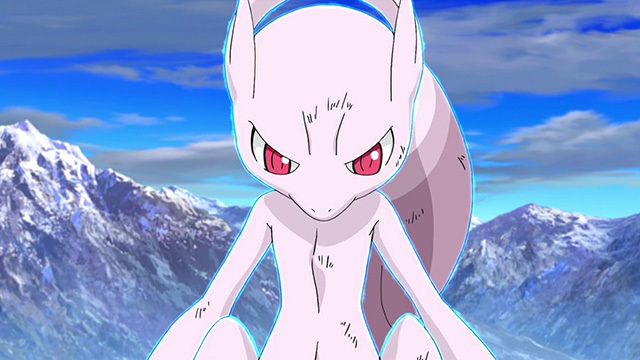 As the result of the experimentation it suffered at the lab Mewtwo distrusts humans and used its powers to escape. Concerned for the Mewtwo, Danku has gone into the mountains and managed to find it when they suddenly got shallowed by a rockslide. Since the Mewtwo mistrusts humans, and won't allow them to get close, Anna suggests asking the wild mountain Pokémon for help. 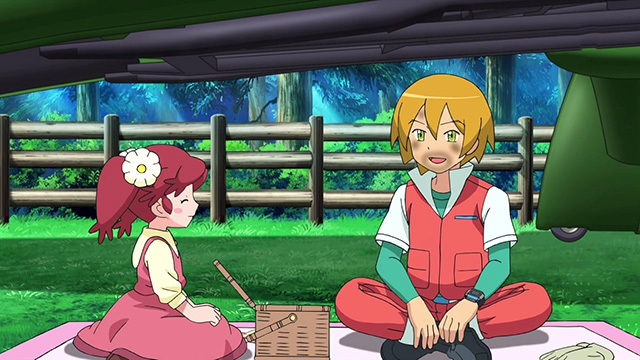 Virgil is surprised that she can do that, but Oscar explains that all the mountain Pokémon are Anna's friends. 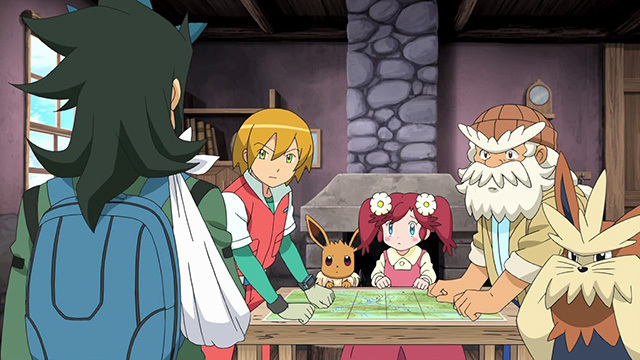 Anna attaches some medicine Stoutland's neck and Virgil sends the Eevee Team to find the Mewtwo and inform them of its location. 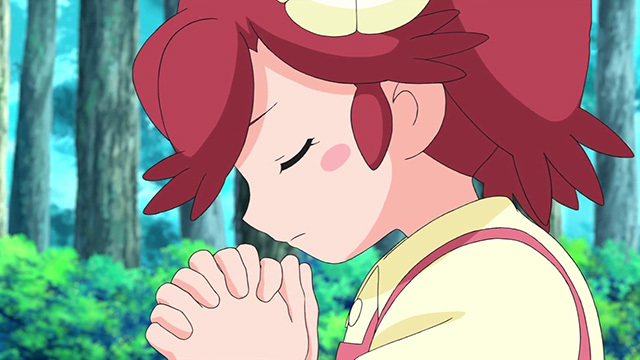 Anna prays to the mountain Pokémon to help Mewtwo and her feelings reach many of the Pokémons who come join the search. 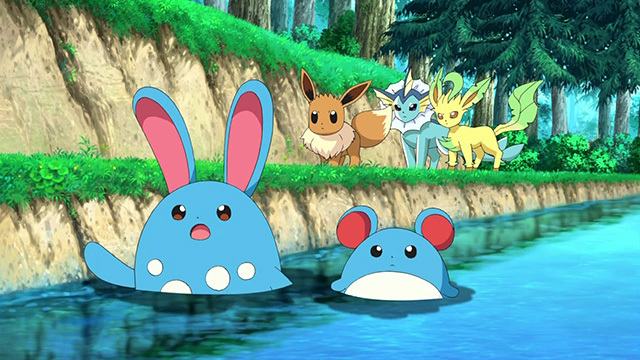 All the Pokémon look for Mewtwo in the forest, and eventually Eevee, Leafeon and Vaporeon meet an Azumarill who tell them where to find the injured Pokémon. 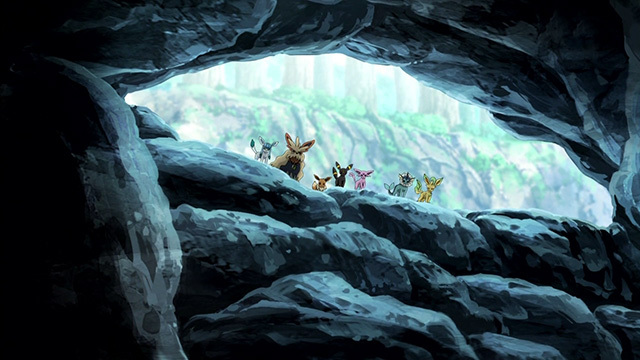 In front of the cave they find Stoutland and the other three members of the Eevee Team. 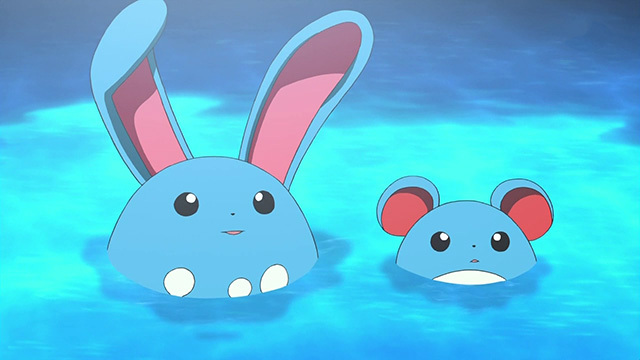 Vaporeon and Leafeon go back to inform Virgil of Mewtwo's location. 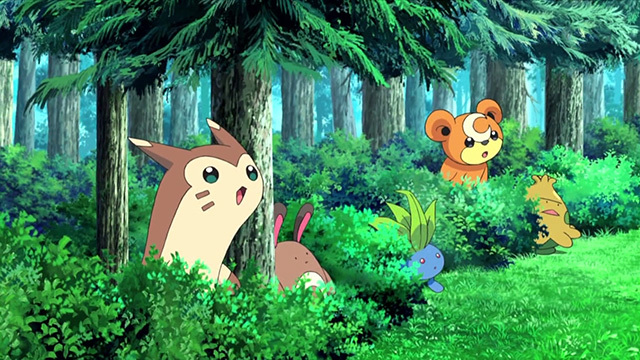 Danku, who had sent some flying cameras after the Pokémon, receives the feed in his video watch, showing their location and stealthily splits from the group. Inside the cave, Stoutland offers Mewtwo the medicine. 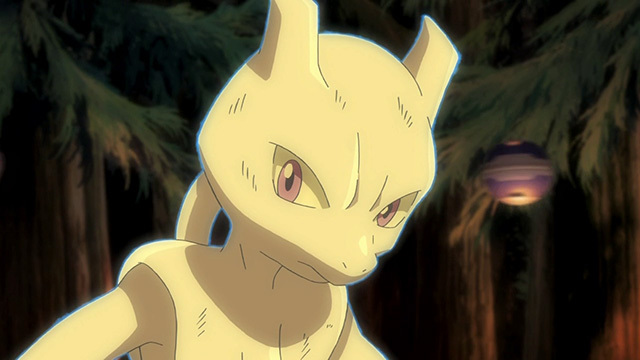 The Mewtwo, who has a female voice, tells them not to worry about her, and thanks their assistance but informs them that she doesn't need anything that comes from humans. Danku arrives at the cave and removes his sling. 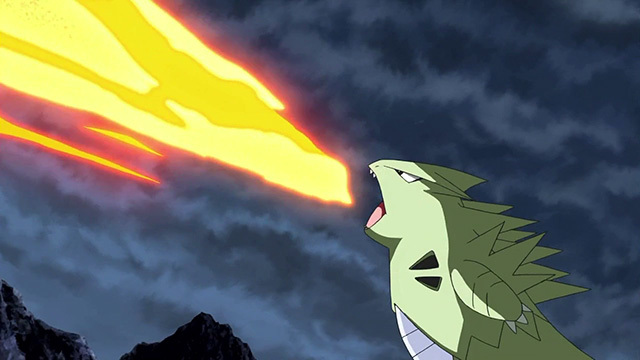 He sends some small flying machines (similar in appearance to Poké Balls) to create a barrier in front of the cave's entrance and orders his Tyranitar and the two Escavalier to capture Mewtwo. Mewtwo ponders why couldn't they leave her alone. 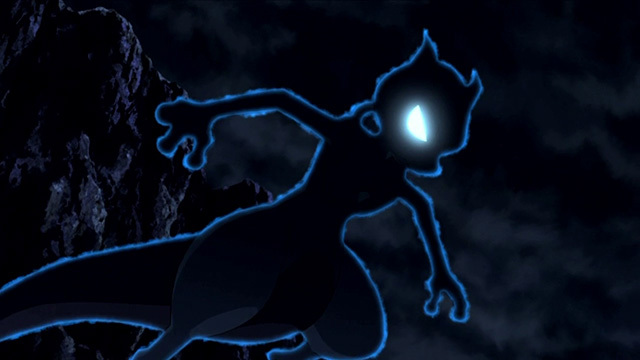 Trapped inside the barrier area and being attacked by all of Danku's Pokémons at once, the injured Mewtwo seems to be in trouble, but she suddenly transforms into her awakened form and manages to defends herself. Danku is surprised since he hasn't been told Mewtwo could change forms. 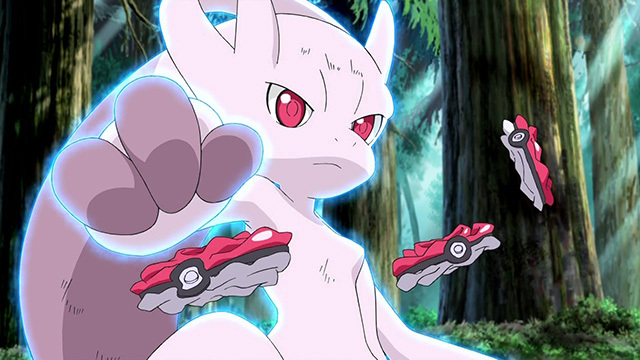 He sends more machines to shot at Mewtwo who gets hit twice and reverts back to her normal form. 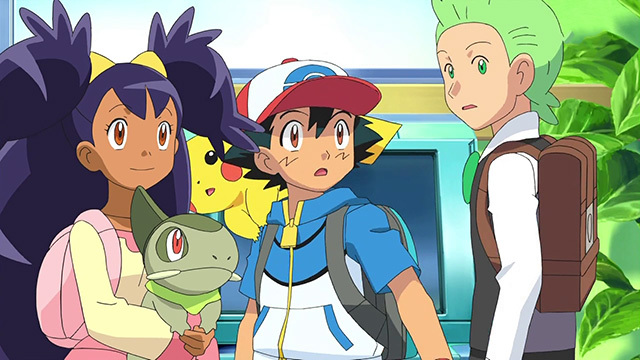 Virgil, Oscar and Anna show up and see Danku commanding Tyranitar to use Hyper Beam against Mewtwo. Virgil angrily asks Danku how could he trick them. Danku replies that he didn't lie, he just didn't tell them he was a Pokémon Hunter hired by the creators of Mewtwo. Mewtwo says that just as she expected, humans can't be trusted. Everybody is surprised that Mewtwo can talk. The Escavaliers are about to attack Mewtwo from behind, but Anna shouts out, warning her just in time to counterattack. Mewtwo manages to defeat Danku's Pokémon. Anna apologizes to Mewtwo since she didn't know (that Danku was evil). 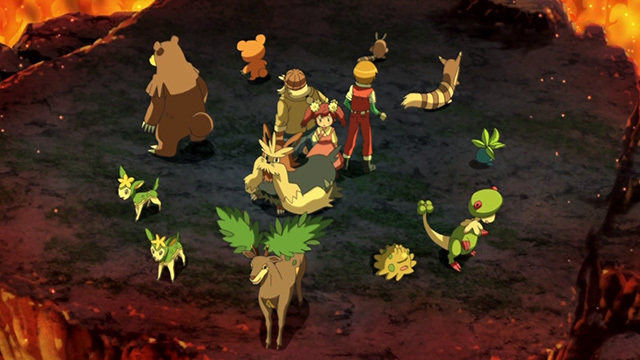 Some of the damaged machines catch fire and the Eevee Team tries to put it out, but it spreads and the flames surround Anna, Virgil and Oscar. 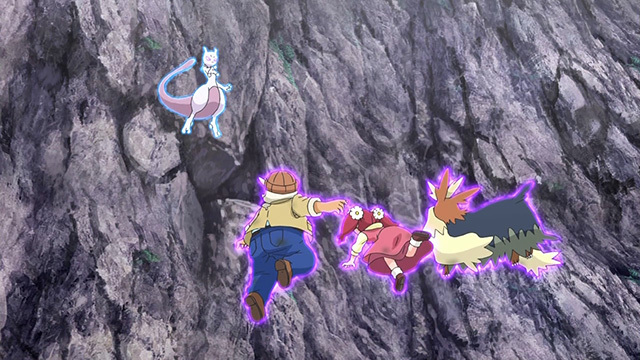 Mewtwo looks down on the group and is surprised to see the mountain Pokémon circled around the trio trying to protect them from the flames. 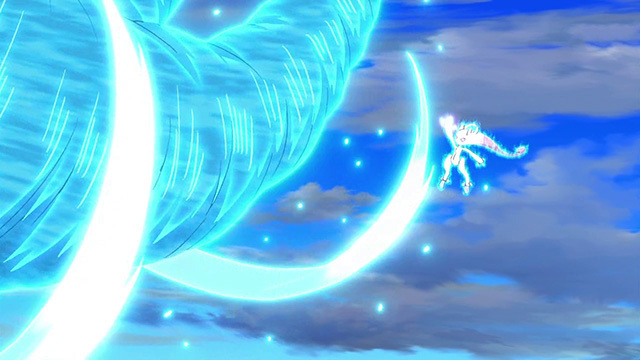 Danku uses the distraction to launch another machine attack on Mewtwo, but she gets angry and transform into her awakened form again and destroys Danku's machines. The broken machines, now engulfed in flames, come crashing down and Danku must dive away from them, accidentally causing him to drop his Poké Balls. 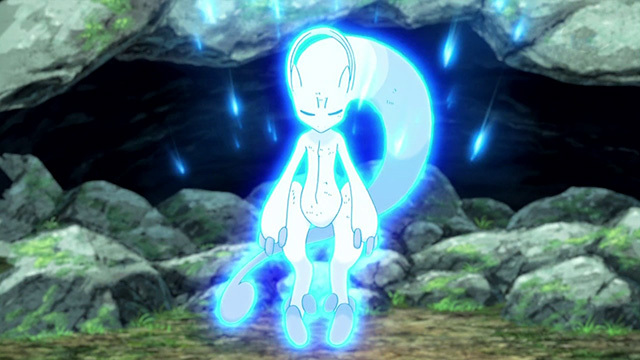 Floating over the forest Mewtwo reflects on how she was created to be the ultimate Pokémon but has gotten the other Pokémon involved in her trouble. Then, she notices a lake nearby and used Psyquic to move the water to rain down on the forest and put out the fire. 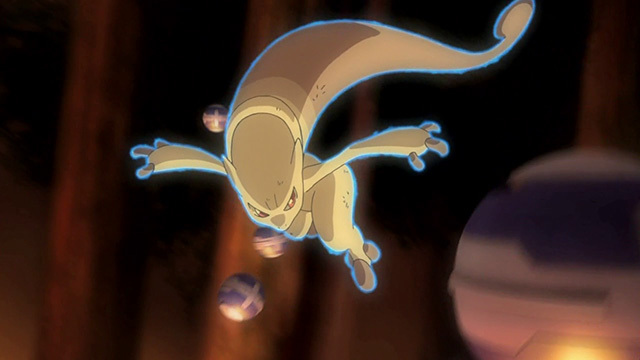 Just when Danku was about to recall his Pokémons, Mewtwo destroys his Poké Balls, freeing them from his control. 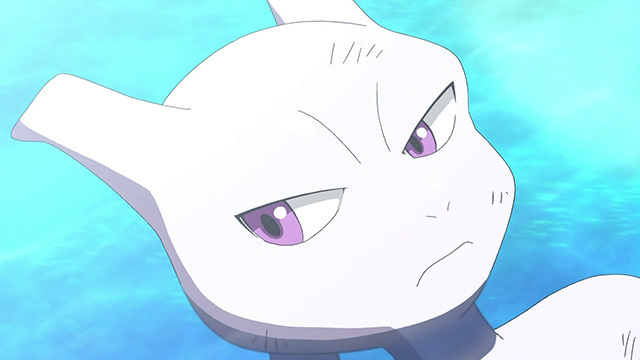 Mewtwo reverts back to her normal form, and Danku tries to apologize saying he was only following orders. 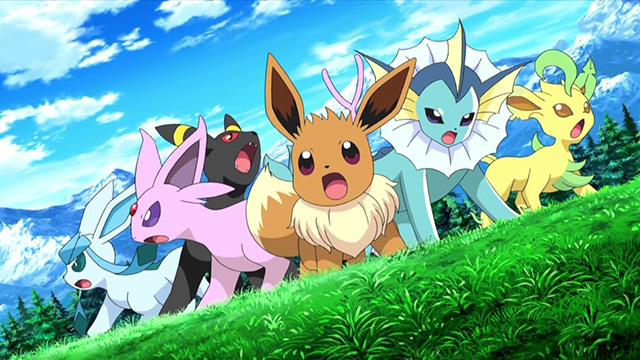 Umbreon and Espeon use their psyquic powers to capture Danku and Virgil tells Mewtwo he will take him to Officer Jenny. Anna thanks Mewtwo for saving them. 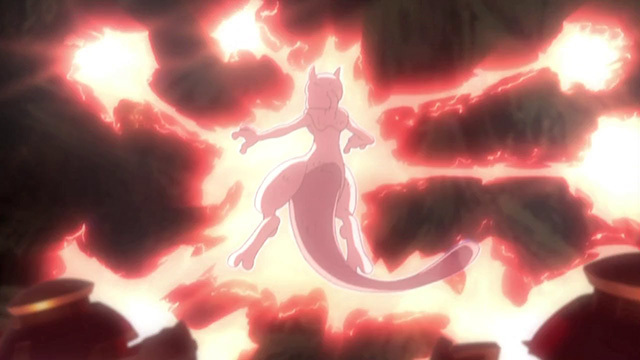 Mewtwo floats up and tells her that she was only trying to help the other Pokémon. Anna answers that regardless, she is thankful for the help. Oscar and Virgil thank Mewtwo as well. 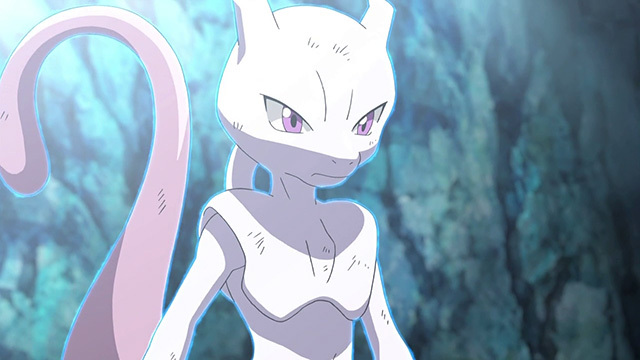 Mewtwo ask them to forget ever meeting her and flies away. Anna swears she will never forget and Virgil looks concernedly into the sky. 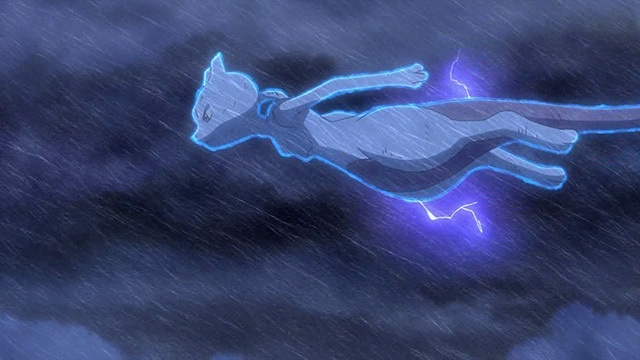 Flying in the rain Mewtwo wonders if there is a place in the world for her and where should she go now. 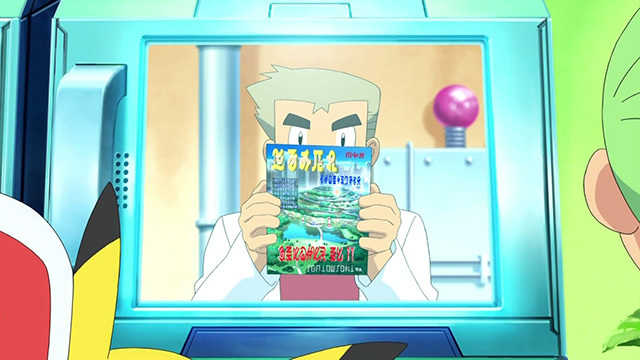 Back in a Poké Center, Ash, Iris and Cilan are video chatting with Professor Oaks who is showing them a brochure to a place called Pokémon Hills, a new place created for Pokémons in New Tort City. They are all excited when the professor tells them he is sending them there. Iris notices that they are interviewing Virgil on TV. The reporter asks him what is the most important thing in Pokémon rescuing. Thinking back on Mewtwo, Virgil says that it is for humans and Pokémon's feelings to flow into one heart.